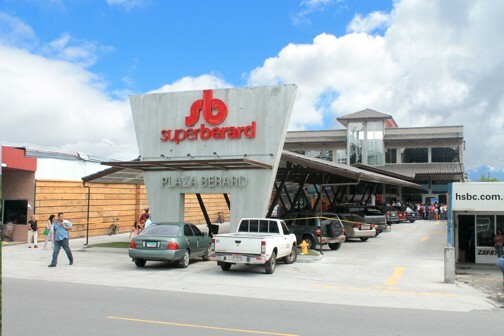 Above, the opening day of Volcan's newest supermarket: Super Berard. Shopping in Panama is truly first world. 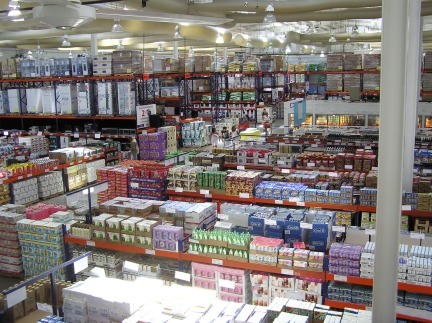 The supermarkets are modern, clean and well stocked. in many cases with the exact same brands you would find at home. 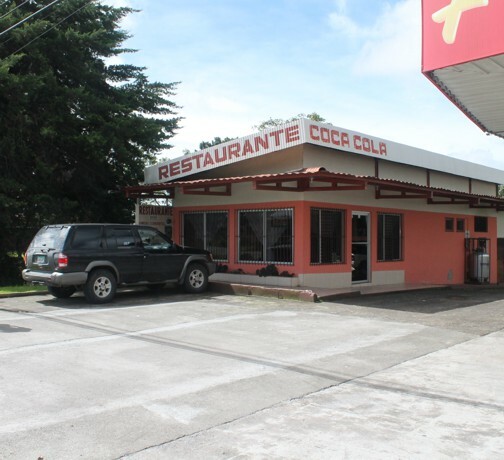 This is the "Coca Cola" restaurant in Volcan. 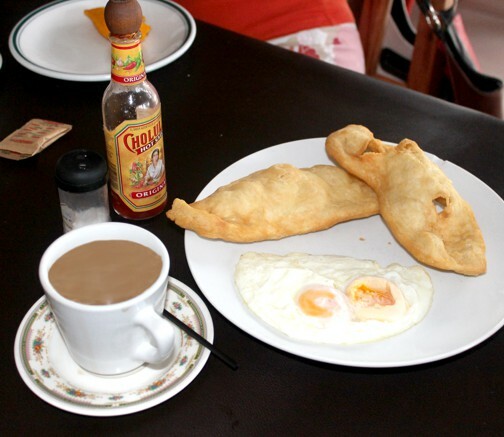 Here you can buy a breakfast of 2 eggs, and 2 Hojaldres (puff pastry pancakes) and a cup of coffee for less than $1.50. You could also buy lunch for about the same price. Not gourmet, but good basic, locally produced food. It is hard to accurately compare prices, apart from basics such as eggs, milk etc. House prices in Canada for example vary widely between British Columbia where average house prices are above $500,000 to somewhere in mid Canada where the same house could cost $160.000. As anyone can see from the list below Panama is very affordable – in fact you can buy products and housing for less than the figures shown. We have tried to be as fair and accurate as possible. 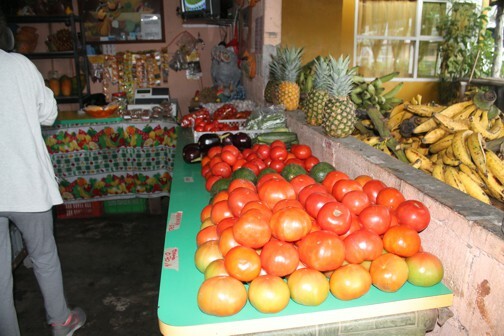 The secret to saving in Panama is to BUY LOCAL! Below a local fruit and veggie stall. 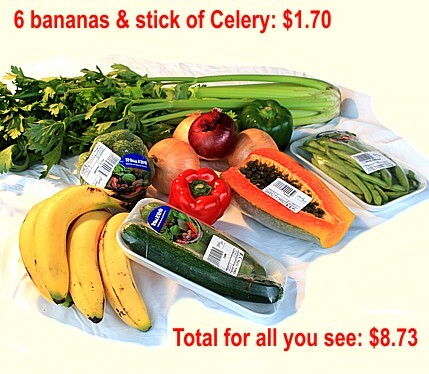 Sometimes my wife emerges from "Alex's" with an armful of fruit and veggies, telling me she spent less than $2.oo. If you are making a cost comparison between where you live and Panama, ask yourself this one question: How much do I spend each year on heating in the winter and air conditioning in the summer? If you Chose to live in the highlands of Chiriquí, those costs would be close to Zero. Our eternal spring climate means we do not need air conditioning or heating. 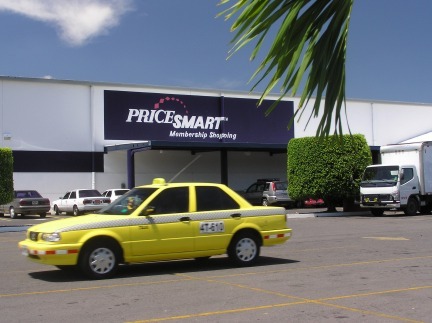 PriceSmart, is located in David City and affords great savings on bulk goods and electronics. Whatever your shopping needs - Panama has it. 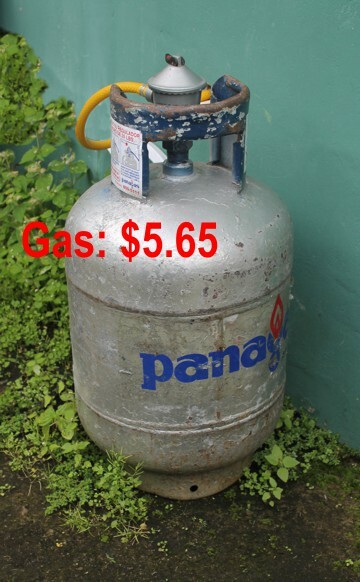 This tank of propane gas costs less than $6.00. If you cook and heat your water with this, this tank typically could last about 2-3 months. The government subsidizes these smaller tanks - so cooking and water heating are very affordable. These are the prices for gasoline and diesel in Volcan, Chiriquí Highlands, on November, 8th 2013. The prices in David city will be slightly lower. 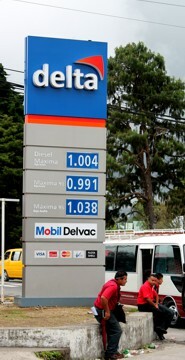 The government regulates the price of fuel and the price can fluctuate month to month. Here are some prices on grocery items. CHEESE: (local produced) $3.49 340 grams. NOTE: IMPORTED canned and other goods are the same price or more expensive than in north America. Once again, the way to save is always to buy locally produced goods. 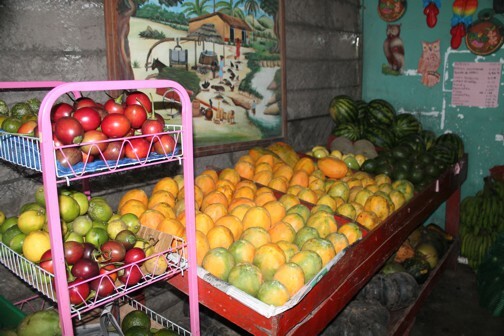 Organic produce is available, but can be more expensive than other local, non-organic produce. There is no tax on food, all other products are charged 7.5 % sales tax, apart from alcohol which is charged with 10% sales tax. Electricity a month is anywhere from $35 and up a month depending on how many appliances one has. Phone and internet is 30.05 a month, (you will be billed extra for local calls, cell calls and long distance. If you have a retirement visa or are at retirement age, you are entitled to your discount on the following: electric, water and phone. Some of the grocery stores will give you a 5% discount but most of them do not. Weights and measures are done in the following: lbs, grams, kilos, gallons, feet, yards and meters. North American style stores are here such as Pricesmart and they have an excellent selection of fresh meats, fish and produce. One thing you can say for certain, all the grocery items you want and need are here and as the survey shows, the prices are most probably lower than back home.